This was another model made for an American customer. 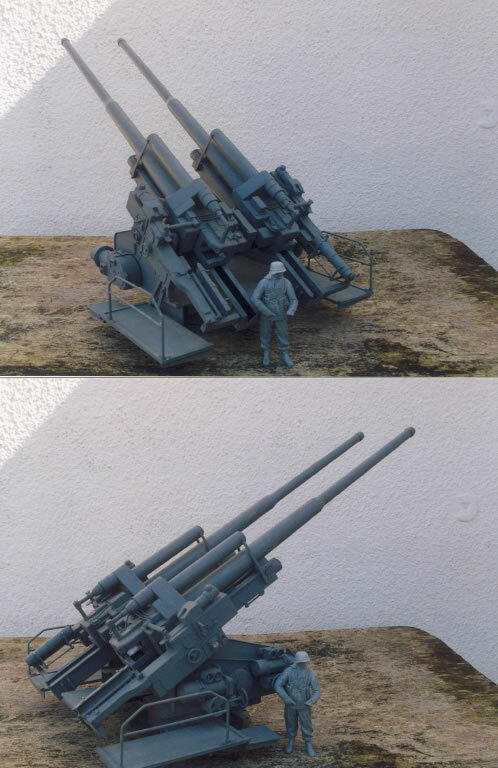 I had made one a few years back on a part base to represent a flak tower. This was built the same way and finished in the same paint but was just a standing model. Barrels were the usual wood turned with almost everything else from plastic card, rod and strip.